Posted in Producer, Image format on July 7, 2014 by Geoff. With its roots firmly in the Celtic tradition, As Night Falls features immortal tunes like Wild Mountain Thyme, The Unquiet Grave and Poor Wayfaring Stranger, alongside contemporary classics such as Annie Lennox’s Into the West and a particularly compelling version of Peter Gabriel’s Mercy Street. 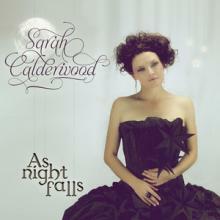 The album features the stunning folk singer Sarah Calderwood along with the Tasmanian Symphony Orchestra conducted by Andrew Greene performing the traditional songs The Maid of the River, I Am Stretched On Your Grave, and The Blue Cockade, the latter featuring Mike Scott from the ex-Waterboys. Also featured is internationally acclaimed accordion player Alan Kelly, Berlin-based Australian guitarist Bob Spencer, former Savage Garden bass player Lee Novak, and virtuoso Australian percussionist David Jones. Posted in Audio Engineer, Mix Engineer, Producer on October 14, 2011 by Geoff. Here is the press release from ABC Classics for the album that I am producing and engineering during September this year. Very excited about this one! Australia’s leading classical CD label ABC Classics today confirmed that it has signed folksinger Sarah Calderwood to make a solo album. The groundbreaking deal – the first in which a solo folksinger has been signed to a major classical label – follows the success of Celtic Road, the album by Sarah’s band Sunas, which spent six consecutive weeks in the ARIA Classical Top 10 and achieved high rotation on ABC Classic FM and Local Radio playlists when released in February this year. The band went on to headline both the National Folk Festival in April and National Celtic Festival in June, to extraordinary acclaim. But it was Sarah’s solo vocal on the traditional Bushes & Briars, accompanied by the Melbourne Symphony Orchestra, which drew audiences to the album from well beyond the folk community. ‘The response to Sarah’s haunting voice has been amazing,’ says Manager of ABC Classics Martin Buzacott, who discovered the 29-year-old singer performing with Scottish song-writing legend Dougie MacLean at a semi-private concert in the Wollemi National Park last year. With its roots firmly in the Celtic tradition, the album will feature immortal tunes like Wild Mountain Thyme, The Unquiet Grave and Poor Wayfaring Stranger, alongside contemporary classics such as Annie Lennox’s Into the West and a particularly compelling version of Peter Gabriel’s Mercy Street. Recording moved to Hobart last week where the Tasmanian Symphony Orchestra conducted by Andrew Greene played several of Wells’ arrangements including the traditional songs The Maid of the River, I Am Stretched On Your Grave, and The Blue Cockade, the latter featuring a high-profile male Australian singer as Sarah’s duet partner. ‘No names, no pack-drill just yet,’ Sarah laughs. Also featured will be Irish-based Alan Kelly, acknowledged within the folk community as the world’s greatest accordion player, whose own new album Small Town and Famous Nights will be released on ABC Classics in October, plus Berlin-based Australian guitarist Bob Spencer, former Savage Garden bass player Lee Novak, and virtuoso Australian percussionist David Jones. Sarah’s album, entitled As Night Falls, will be released on 4 November, with advance tracks being pre-released on iTunes from early October. UPDATE: Also featuring duets with Mike Scott (from The Waterboys) and Shane Nicholson! We are currently finished recording and are madly mixing to reach the deadline! Posted in Audio Engineer, Mastering Engineer, Mix Engineer, Producer on August 29, 2011 by Geoff. 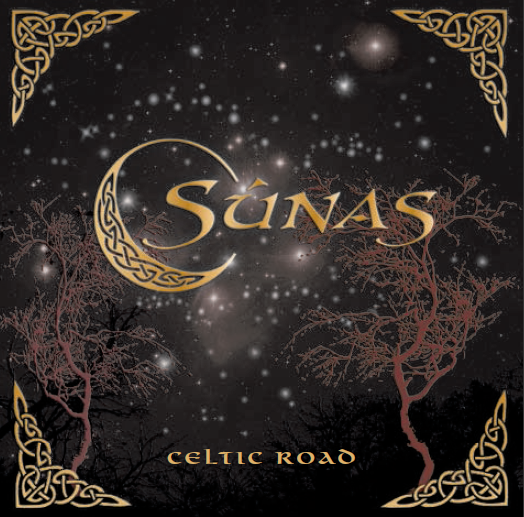 I’m just putting the finishing touches on Sunas’ new album Celtic Road. Earlier in October I commenced recording with Sunas at the ABC studio in The Queensland Orchestra building on Ferry Rd. They are an acoustic folk band with celtic roots. Their exciting blend of instruments and singing is fantastic with both original tunes and covers of some well know favourites. The album is being launched on February 18 through ABC Music. Posted in Audio Engineer, Mix Engineer, Producer on January 14, 2011 by Geoff. Carisma’s latest CD Celtic Deams has been released under the Atmospheres labe through ABC Classics. 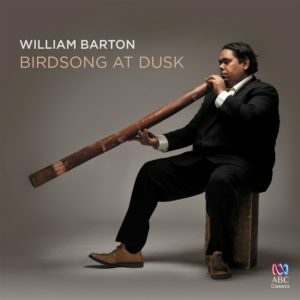 Featuring the beauty, joy and mystery of Celtic music through the unique combination of flute, harp and cello. This album includes Carisma’s interpretations of traditional and much-loved folk songs as well as haunting and ethereal contermporary Celtic music.